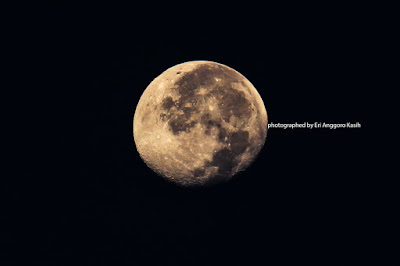 The Moon is a very interesting sky object to photograph. As I woke up in the morning and sight seeing to the west, I found the moon's still shining in the West. I always trippoded when capture the moon, even the shutter speed is enough to capture steady handheld.